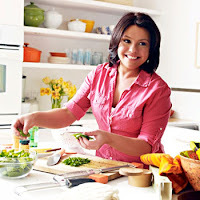 Everything Rachael Ray: Could This Be True? Taking a Year Off? Could This Be True? Taking a Year Off? Update: Grub Street has corrected the article to state that Rach will be in Italy celebrating her wedding anniversary and is not taking a year off. I knew it couldn't be true!! According to Grub Street New York, Whoppi Goldberg will be filling in for Rachael Ray at this year's Burger Bash - a gig that Rachael excitedly hosts every year. Then there's this bombshell. Grub Street was told that Rachael "will be out of the country for over a year for 'personal' reasons." WTF? This is the first I have heard of this! Rachael Ray taking a year off work? Could this be true? A divorce or some illness are always the speculation when someone takes time off like this. I hope neither are correct and wish Rach the best for her time off, if it is true after all. Wow..I hadn't heard this. Illness, divorce or maybe a baby is what popped into my mind. Just to get away from the crazy paparazzi. I believe the statement was retracted and she is NOT doing the NY Food Show because she will be in ITALY celebrating her wedding aniv. Bravo to Rachael to finally put her life first before work!!! It's about time. The BB will go on without her.